Imagine: you're heading up a sales team at a fast-growth company, and nothing can slow you down. You're adding more reps to the team, securing new deals, coming up with actionable ideas and moving forward. There's nothing quite like the adrenaline rush of experiencing high-speed growth. For most companies, the first step to scaling their company is to get more salespeople onboard. While making smart hiring decisions is important, you must first have a sales foundation that consistently attracts new leads, upsells your existing customers, and supports future company growth. Successfully scaling a sales team can be a long, difficult road, but with meticulous planning, effective tools, and good judgment, you can easily avoid the common mistakes that most people make. Focus on a limited number of key objectives that dramatically improve your company's ability to grow and executing on them with rigorous accountability. For example, clearly define your most important KPIs, pipeline stages, and the exact activities that your reps should be mindful of during a sales cycle for the best possible outcome. Reduce the "attention load" of your team, where they're able to finish administrative tasks, by systematizing them to be simpler and faster. This not only increases your company's operational capacity, but also makes it easier to bring in new reps who are productive from day one. Rely on accurate data, so you’re able to make informed decisions about developing, improving, and implementing changes that empower a thriving sales team. Establish a matrix of core values and behavior patterns that should be a 'norm' at your workplace. When your team internalizes a code of conduct, they're in a better position to handle situations that are new to them. Invest in your existing team members. 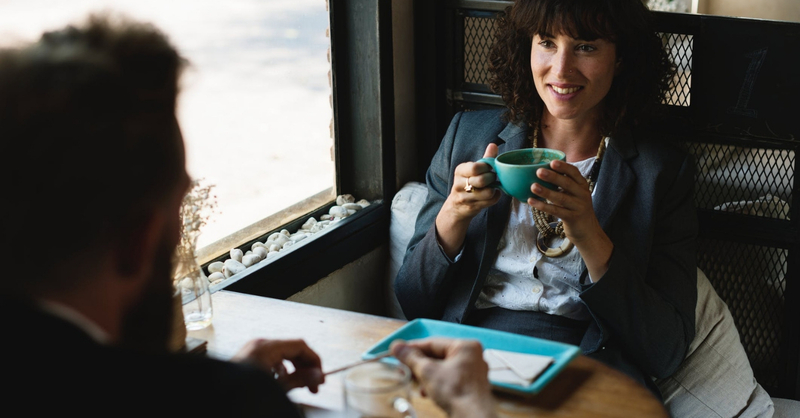 Develop learning pathways and opportunities that encourage your reps to work on skills that positively impact their contribution to your company. 1. Invest in sales training programs. What sets apart high-performing salespeople is that they strive to be better every single day. Most reps go through an orientation program during their initial onboarding process, but they don’t receive any professional development opportunities down the road where they can acquire new knowledge and create growth plans. With proper training programs in place, reps can improve their selling skills, processes, and techniques—which ultimately improves your bottom-line results. In fact, CSO Insights found that reps who successfully complete a recommended training program have a 10% higher win rate. If you have a 100-person team with an average deal size of $50,000 and $1 million individual quotas, you’re looking at a $20 million increase in revenue. Companies are spending almost $300 billion globally on training programs—but most of them still struggle with the difficulties of hiring, retaining and managing productive sales talent on their team. Location: Do you want the training to be in-person or virtual? Length: Depending on your team schedule, how long do you want an average session to be? Focus: Do you want to address a specific challenge that your reps are facing? Pricing: How much return are you expecting—and does the cost justify the expected outcome? Remember—without regular reinforcement, your reps will forget 84% of the content they’re exposed to in the first five weeks. Encourage them to practice what they learn during training programs. 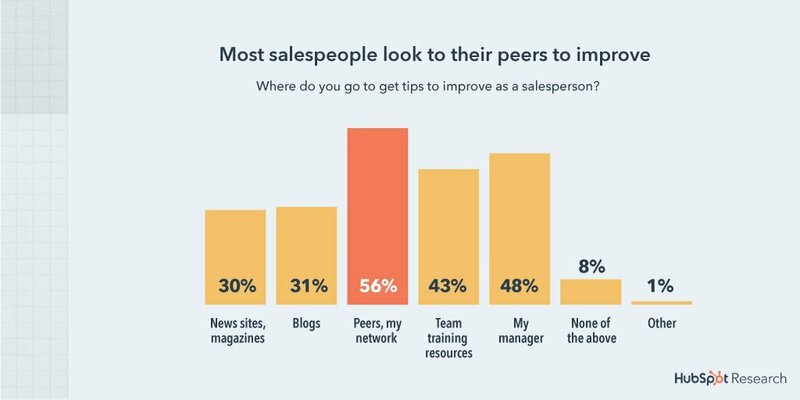 Ask them to share helpful sales tips with their peers (their preferred source of advice for improvement, according to HubSpot) and turn to their mentors and front-line managers for direct feedback. Set realistic goals for the next 30, 60, and 90 days to test the effectiveness of the training in terms of customer buy-in, problem-solving, product presentation and objection handling. With a training retention plan, 31% more reps meet their quota (compared to the industry average), which translates to a 10% year-on-year increase in revenue. Today’s workforce also spends a considerable amount of time on their phones, which greatly influences their learning preferences. Implement mobile-enabled training content so your reps have instant access to situation-specific learnings while rushing to a client meeting. When reps have a comprehensive understanding of your business and customers, they become better at communicating your company’s value proposition and closing deals faster. Sales training programs help them harness their unique talents to sell authentically, build stronger relationships, and deliver on the customer's expectations. 2. Use the sales forecast for hiring. On average, sales teams have a turnover of twenty-five percent—which means your company will lose about two out of 10 reps annually. The only way you can maintain sales efficiency and performance of your team is by hiring the right people. In addition to pipeline and resource management, sales forecasts also give you a heads up on the positions you should be recruiting for. Essentially, you observe your past metrics (number of sales, revenue generated, conversion rate, etc) to predict how many people you’d need to attain your business goals in, say, five years. For example reps often complain about not having enough bandwidth to reach out to all the leads in the pipeline. As a result, you might notice a gradual decline in conversions—even with a highly productive team. In an ideal scenario, you can use forecasting to identify these bottlenecks in your sales process and resolve them by hiring strategically. If your company is expecting to grow from $X to $Y in one year, you should be able to project the number of leads and reps you need to get to that number. Many companies take a bottom-up approach to bandwidth assessment and use the forecast to track the output per individual. Instead, you should opt for the top-down approach to set up a revenue target and work your way down to determine the number of reps you need. Remember, the cost of bringing a new hire up to speed can be anywhere between 1 to 2.5 percent of your total revenue. That’s why it’s crucial to stay ahead of the curve and avoid hiring in a rush. The end-goal is to build a team that contributes to the company growth, and not end up 'over hiring' or getting less-qualified reps onboard. 3. Create a sales playbook. Training new reps is easier when you can provide a clear explanation of what your target audience is, the products they’re interested in buying, their pain points, and the marketing messages they’re most responsive to. Without this information, your reps have to learn as they go—usually from other reps who have enough on their plate as is. 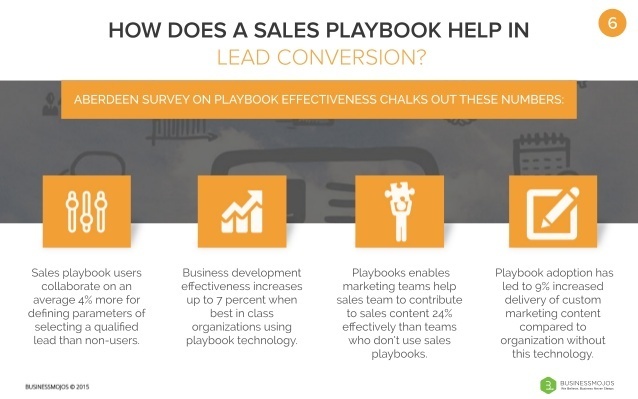 A sales playbook is a handy guide for reps that outlines your sales process, negotiation questions, proposal guidelines, competitive intelligence guidelines, buyer personas, call scripts, demo templates, sample emails, and more. Considering that only 36% of a rep’s time goes into selling, having on-demand material accelerates the sales process and improves close rates. After all, they don’t have to spend time researching and creating content on their own when they can simply refer to the sales playbook. You can also document tried-and-tested selling techniques that your company has benefited from in the past. For example, if one of your top-performing reps is using a specific outreach method to convert more leads, then you can put it in the playbook to share with the entire team. Doing this is easier when your playbook is available online—on a Google Doc, for example—and easily accessible to everyone at any time. Remember to update your sales playbook whenever there’s a change in your sales process, product line, selling strategy, ideal customer profile, and compensation plan. According to Aberdeen, the most successful companies are twice as likely to have a sales playbook compared to the other players in the market. 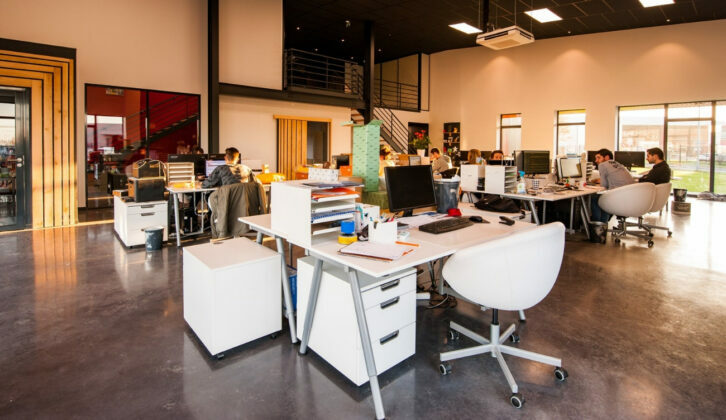 When reps have access to all the tools and assets they need for every sales situation imaginable, they can focus on what they do best: pursue qualified leads and build stronger customer relationships. Scaling a sales team is more than just bringing new reps to the table. Ultimately, your reps—old and new—can only add value, achieve their targets, and grow with your company if you provide them with an organizational structure that encourages them to scale up and dominate. People are more likely to succeed when they can see how their work is creating value and making a difference in the world. Offering positive reinforcement can be a powerful performance booster—whether it's a monthly report on how your reps successfully helped a client or a premium subscription to the right technology that enhances their sales productivity. Scaling your sales team without jeopardizing your product and business reputation is an intimidating, but exciting challenge. By streamlining your sales process, embracing the right automation tools (a CRM, for example), and being strategic with your hiring (especially for specialists or mid-level managers), you're ensuring that your reps grow with the company—exactly how it should be.